A few years ago you couldn’t sneeze without hitting a custom Honda CB. 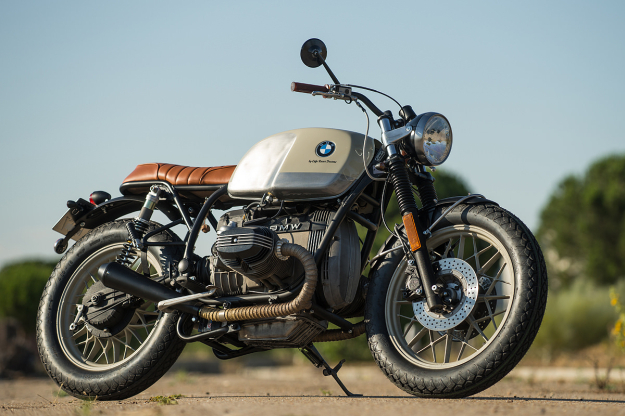 But the baton has now been passed to the BMW R-series. And with good reason too—old ‘airheads’ are easy to come by and bulletproof. With a simple layout and a removable subframe, they’re great for customizing. 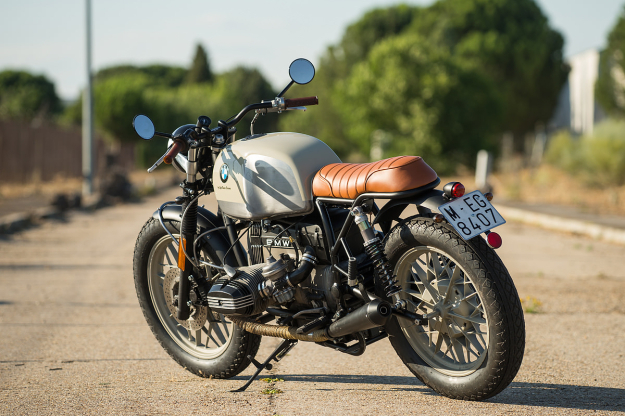 The Spanish workshop Café Racer Dreams doesn’t just customize BMWs, but it’s racked up an impressive portfolio of boxer-powered builds—including a couple of newer models, like the R1200S that led our recent Top 10 best customs roundup. 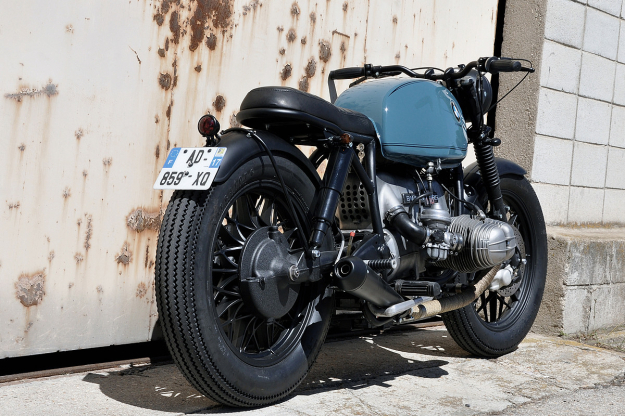 Orders for classic BMWs from CRD are streaming in. “It’s what our customers are demanding,” say Pedro García and Efraon Triana. 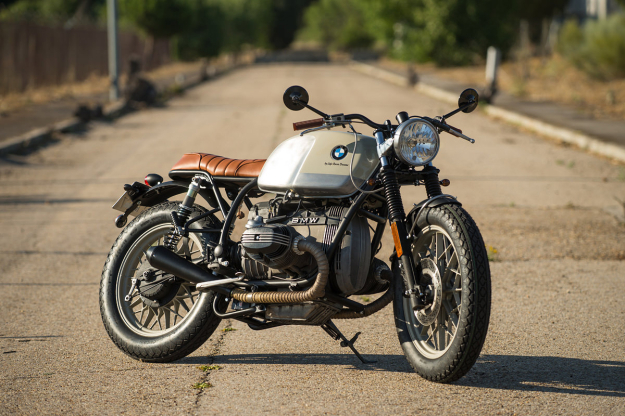 “And we confess that our advice to customers who want to use a classic bike is to focus on BMW or Honda.” They explain that, while they admire their design, they prefer not to work on old Italian and English motorcycles: their idiosyncrasies can be daunting for first-time classic motorcycle owners. This pair of BMWs has just rolled out of CRD’s workshop. 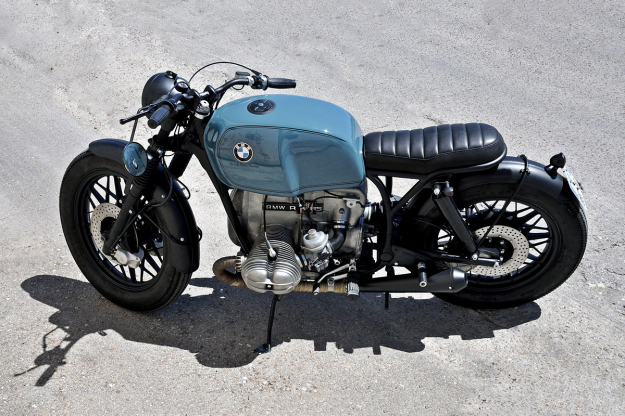 CRD #51 (above) is a slammed bobber finished in blue, based on a 1977 R100RS that was brought in by its owner. 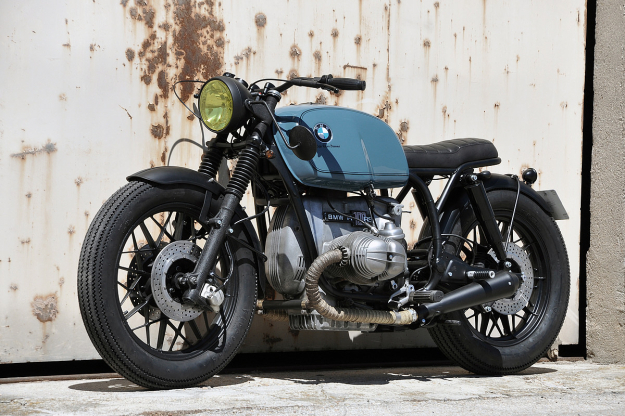 CRD #52 (below) is a 1981 R100 that was sourced in Madrid for a customer from Alicante, with a more traditional stance and a two-tone paint job. The suspension on the blue bobber has been shortened at both ends—with classic style Hagon shocks fitted—and a bespoke subframe welded on to support a solo seat. 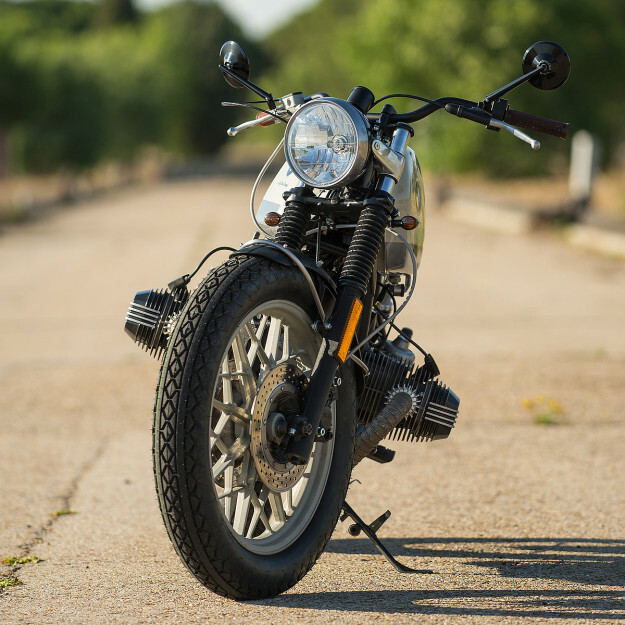 The front fender is a stock R100 item while the rear fender is hand-made, hugging the rear wheel in the same style as its predecessor. CRD #52 (below) has a more traditional stance, and a suspension upgrade thanks to a new set of Öhlins shocks. It features a similar subframe to #51, but this one includes passenger pegs and a slightly larger perch wrapped in brown. Both fenders are custom items. #52’s wiring’s been refreshed and simplified, and it uses an MMB speedo available from CRD’s online store. Multiple items from CRD’s stock have been used on both bikes: including the lights, turn signals, grips and exhaust mufflers. The cream and silver combination on #52 was chosen by its owner, with the cream echoed on the wheels. It now rolls on a set of Coker Diamonds, while #51 has Firestone Deluxes fitted. As you’d expect from one of Europe’s top custom builders, Pedro and Efraon have delivered a pair of charming, classically styled R100s, either of which I’d love to call my own. No wonder their workshop is slammed with BMW orders—and I wonder how long it’ll be before a R nineT comes across their bench? Check out earlier builds on the Cafe Racer Dreams website, and follow CRD’s news via their Facebook page. CRD#51 photos by Jose Cepas. CRD#52 photos by Enrique Pacheco.